Micron MT18HTF25672FDZ-667H1D6 memory - DDR2 SDRAM - 2 GB - 240-pin"
Enjoy 4GB of DDR2 memory with the Micron MT36HTF51272FZ-667H1D6 Effortless multitasking and top performance in your business applications. Enjoy 4GB of DDR2 memory with the Micron MT36HTF51272FZ-667H1D6 Effortless multitasking and top performance in your business applications. The Component is just right for upgrades the ideal choice as you will get so at low cost more performance And do not have to make an expensive investment in new systems. 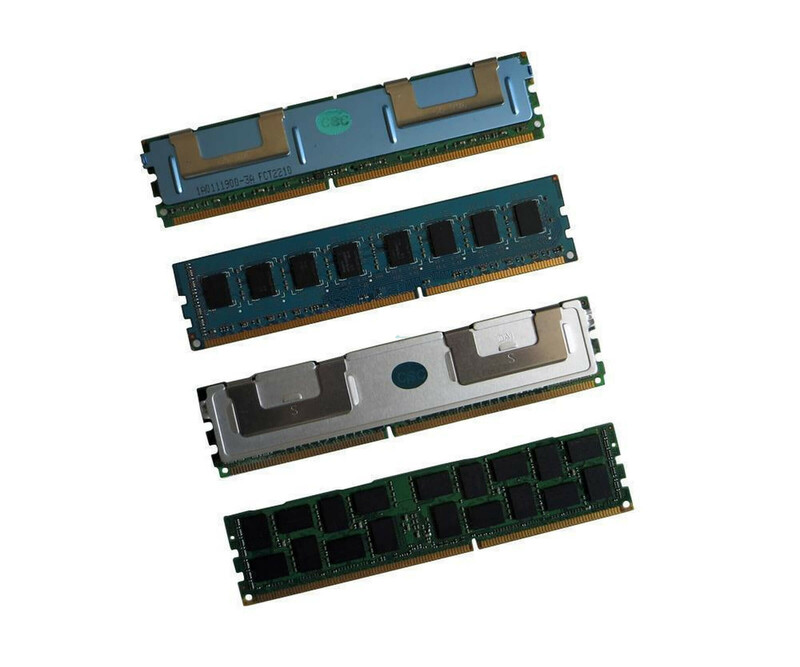 In particular the 4 GB memory capacity of the Micron MT36HTF51272FZ-667H1D6 RAM module ensures For a noticeable increase in overall system performance. The bet is done quickly, because Often the short opening of the housing is sufficient. Just look in doubt According to the manufacturer's maintenance manual, as all steps are listed there are. However, before you decide to upgrade your server with the Micron MT36HTF51272FZ- 667H1D6 4GB DDR2 module, you should check compatibility. Is to It is not only necessary to compare the memory technology, since this is an FBDIMM Memory latch. These are used exclusively in some business systems, Which is why the data sheet should also contain comments. Once the Micron MT36HTF51272FZ-667H1D6 4 GB DDR2 memory on the main board in the Has been used, it is available at the next system start. The connection Is carried out over a maximum of 667 MHz, whereby the latency is also very low with CL5. Of the Saving act is often also only indicated with PC-5300, so you also according to this designation Can look.